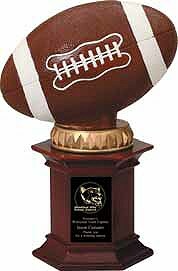 12" Tall Football Trophy on red cherry base. Price includes engraving. Please add $15.00 for a custom logo.